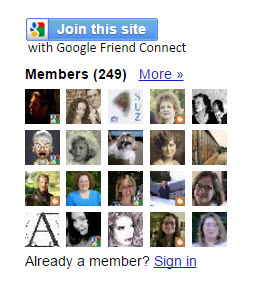 Jana's Genealogy and Family History Blog: Have You Been Missing My Posts? I noticed a surprising decrease in the number of my blog followers recently. The number went from 256 to 249 in just one week. I wondered why. Well, I think I found the answer. "As part of this plan, starting the week of January 11, we'll remove the ability for people with Twitter, Yahoo, Orkut or other OpenId providers to sign in to Google Friend Connect and follow blogs. At the same time, we'll remove non-Google Account profiles so you may see a decrease in your blog follower count." I shared this news on Facebook and several bloggers who also use Blogger had similar experiences with a drop in their blog follower numbers. If you originally followed my blog via "Google Friend Connect" and don't have a Google Account, you may be one of my blog followers who have been removed by Google. To follow my blog again via "Google Friend Connect" you'll need to create a Google Account. It's pretty simple. Just go to Google.com, click Sign in, click on Create account, and fill in the form. 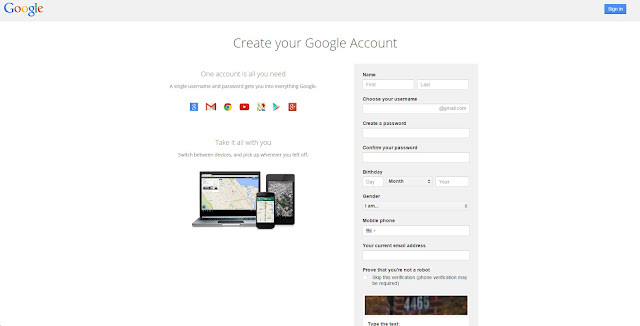 If you don't want to create a Google Account, no worries! You can also follow my blog on Feedly, or through another blog subscription service. Just click on "Subscribe in a reader" or on the green "Follow on feedly" button on the right side of my blog. You can also subscribe by email. By the way, you don't have to have a Google Account to leave comments on my blog. In my blog's settings, I've allowed anyone to leave a comment. I do, however, moderate all of the comments so I can approve them before publishing them on my blog. Thank you for following my blog! I really do appreciate it!